Today was the last day (Day #7) of Chocolate and Seed Theme Week. 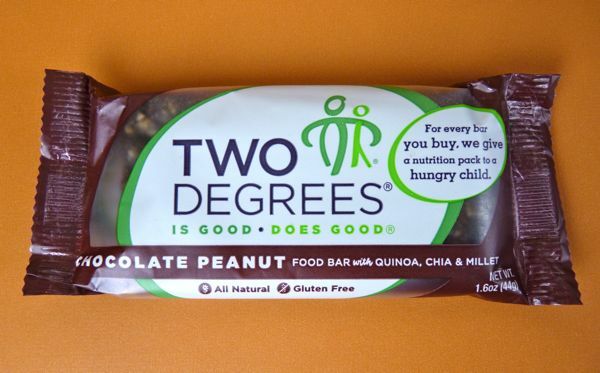 Give Bars, LLC (San Francisco, CA) offered a line of several Two Degrees bars. 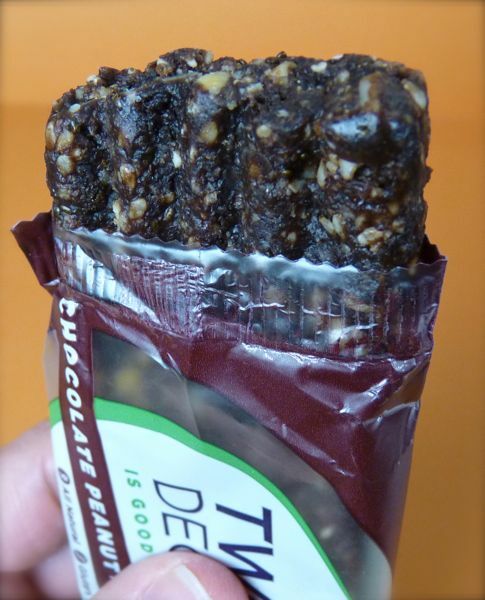 This Chocolate Peanut Food Bar incorporated Quinoa, Chia and Millet seeds. 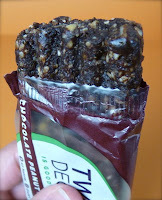 Again, as yesterday, there was a very thin layer of gel around the Chia seeds, barely detectable when packaged with other flavorful ingredients such as chocolate, prune puree, raisins, sunflower seeds, sesame seeds, rice syrup and peanuts and peanut butter. This healthy vegan option with heritage grains was a far cry from commonly sold chocolate and peanut butter candy options, and very satisfying.